With hospitals across the nation taking extra precautions against Ebola Virus symptoms, an unexpected illness has started causing confusion. Sinus infections. In October, a Texas clinic shut down for three hours when a man who had traveled in Africa came in for treatment. Although he actually had a sinus infection, or sinusitis, the clinic was closed while he was checked for Ebola. Local residents were warned via a news alert and social media before the misdiagnosis came to light. The confusion is also hitting the celebrity sector. In Los Angeles in late October, actress Tori Spelling was briefly quarantined when she sought treatment for a number of symptoms, including trouble breathing. It turned out she had bronchitis and a sinus infection, but she was tested for Ebola first. That said, the confusion works both ways. Thomas Eric Duncan, who eventually became the first diagnosed Ebola patient in the U.S., had sought treatment in late September, when he complained of a headache and stomach pain. He was put on a sinusitis treatment course and prescribed antibiotics, but he returned two days later, still sick. He died on October 8. If you notice any unusual symptoms, whether for sinus infections or otherwise, check with a doctor right away. 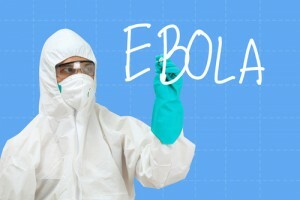 This article on Ebola Virus symptoms and others like it are no substitute for in-person care. When you speak with a doctor, be as descriptive as possible about your symptoms. Your doctor should be listening to you, because sinusitis is often mistaken for other things, like Acid Reflux, or allergies. A little detail that might not seem to matter actually could be very telling. No question is silly. No phone call is a bother. There’s no such thing as being too cautious when it comes to your health.